The Recipe: Homemade Grilled Flatbread made with rye flour and fresh herbs. Great flavor, great texture! Easy to make, especially with step-by-step photo instructions. A warm welcome to readers of my restaurant-recipe column in the St. Louis Post-Dispatch. This week, the featured recipe is for Butternut Squash Flatbread from the restaurant at Chaumette Vineyards & Winery about 75 miles south of St. Louis in beautiful, rolling-hill Missouri wine country. Chaumette's flatbreads are topped with butternut squash roasted with thyme and rosemary, caramelized onion and two cheeses, just gorgeous (links to story and recipe below). Now please know, this is NOT Chaumette's flatbread recipe, it's one I've developed myself. For readers ready to make flatbread at home, I'm happy to recommend it. 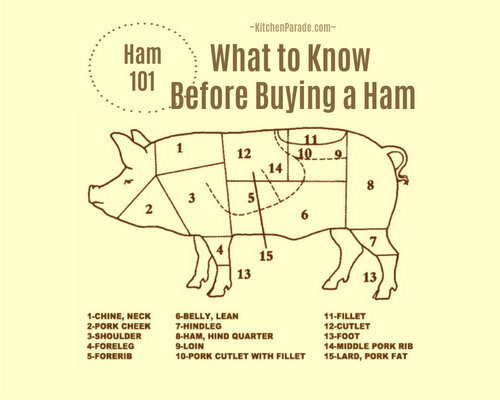 It's even a special sort of recipe that I call "Kitchen Lesson" because it explains the in's and out's of a recipe for new or less-experienced cooks. This one even comes with Step-by-Step Photos! You'll be making flatbread in no time! 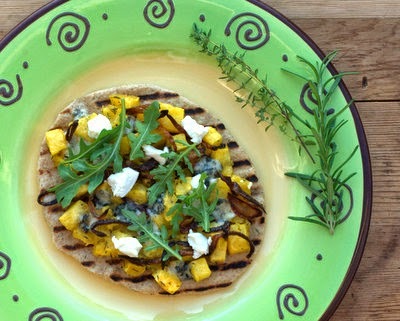 GREAT FLAVOR This grilled flatbread recipe actually tastes good! (Too many, I find, are so floury and dull-tasting.) It's full of flavor all on its own, you wouldn't mind eating it on its own, no toppings. The flavor comes from three ingredients: the high proportion of rye flour, generous salt and fresh herbs. (You could also add softly sautéed onion or green onion.) Flavor also comes from one technique, letting the dough rest overnight in the fridge. GREAT TEXTURE I really love this dough! It's easy to work with and turns out flatbreads that are crisp but tender and yet sturdy enough for flatbread toppings. The texture is especially apparent when the flatbreads are rolled slightly thick, about the thickness of a thin slice of sandwich bread. But the dough can also be rolled and grilled quite thin, more like a hand-crafted tortilla. ALANNA's TIPS Believe it or not, I have to measure the salt for the flatbread dough. Really. My "eyeball" salt is never enough and salt is so important to something with so few ingredients. Rye flour can go sour quite quickly. Store it in the refrigerator – I have a whole drawer for flours and nuts which store better cold – or even the freezer. No fresh herbs? A tablespoon of dried Italian season is a good substitute. A corn tortilla can substitute for flatbread, see how to crisp them up in Mexican Pizza (Oaxaca Tlayuda). An added benefit? Our favorite tortillas have only fifty calories! POST-DISPATCH READERS If you like the looks of Kitchen Parade, how about signing up for a free e-mail subscription? Every week or so, you'll get a new recipe in your InBox. MIX DOUGH Collect flours, yeast, sugar, salt and herbs in a food processor. Pulse once or twice, just enough to combine. In a measuring cup with a pouring spout, stir together oil and water. Slowly pour the oil-water mixture into the food processor in a thin stream, pulsing the food processor again and again, until all the liquid is in and the dough begins to form. KNEAD The dough will be a bit sticky, use a spatula to move it to a floured work surface. Collect the dough into a ball, then knead a dozen or so times just until the dough comes together, dusting it and/or the surface as needed. The dough should begin to feel heavy and no longer stick to the work surface. REFRIGERATE OVERNIGHT Pour a little olive oil into a bowl, turn the dough in the oil to cover the entire ball (this prevents the dough from drying out and cracking). Cover with a clean towel and refrigerate overnight. Bring covered dough to room temperature, this can take several hours and the dough will rise just a small amount. ROLL FLATBREAD (Remember, there are step-by-step photos here!) Cut a piece of parchment and place on a work surface. Cut dough into eight pieces, pinch into each one into a round ball. With your hand, gently flatten the dough in the center of the parchment. When using the rolling pin, always work from the center out and use a light touch. First, roll the dough one direction, then the opposite direction to form an oval. Turn the parchment and roll one direction, then the opposite to form a round. If needed, gently roll again to make thinner or rounder. GRILL FLATBREAD Heat a cast iron or non-stick grillpan on medium high heat for ten to fifteen minutes. Drop a flatbread onto the hot grill, it should sizzle a little. Grill for about two to three minutes without moving the flatbread, check for doneness by lifting a corner with tongs. Flip the flatbread, grill for another two minutes or until done. NUTRITION INFORMATION Per Flatbread, assumes 8/4 flatbreads: Calories; 150/300g Tot Fat; 4/8g Sat Fat; 0mg Cholesterol; 655/1310mg Sodium; 24/49g Carb; 4/8g Fiber; 2/3g Sugar; 4/8g Protein. 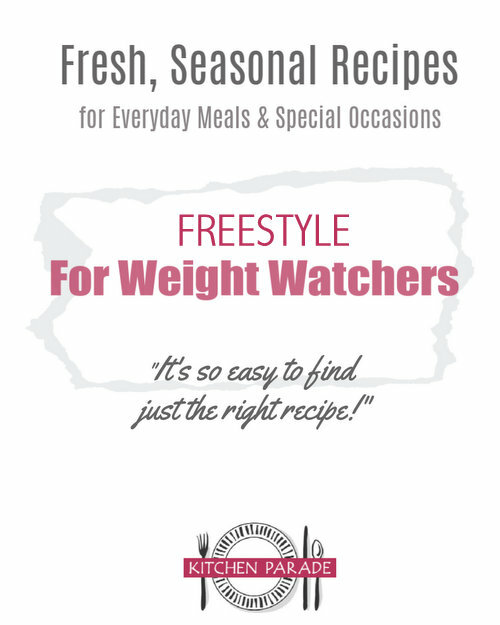 WEIGHT WATCHERS POINTS WW Old Points 2.5/5 & WW Points Plus 4/7. This photo shows my interpretation of the flatbread appetizer that inspired this recipe! It's from Chaumette Vineyards & Winery as published this week in my restaurant-recipe column in the St. Louis Post-Dispatch, story here and recipe here. Hungry for more recipes from St. Louis restaurants? Here's the list, all recipes are adapted for home kitchens! But like a slice of good bread, a flatbread is a blank canvas, ready for you to "paint" the surface. I find myself digging in the fridge and easily finding combinations of toppings, often from leftovers, some times made special. Go ahead, let your inner "flatbread artist" go to town!